As the world population increases and the natural resources decrease, agriculture is becoming more and more important. Managing and improving this ancient practice through the use of space-age expertise are becoming fundamental in ensuring success in the face of mounting obstacles. 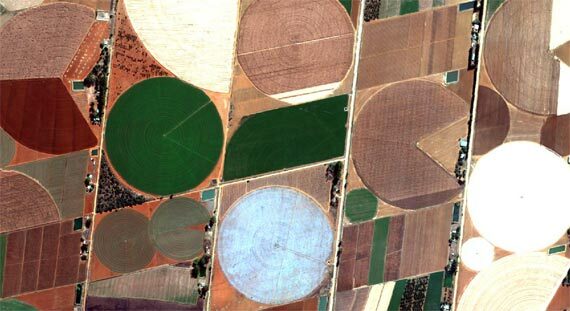 The use of Satellite Imagery in Agricultural management allows us to address challenges like increasing efficiency, productivity, climate change, natural resource depletion, water scarcity, crop diseases, infrastructure management, and many more in new, more comprehensive and innovative ways. The Red Edge band, which is sensitive to changes in chlorophyll content is used to assist in monitoring vegetation health, improve species separation and help in measuring protein and nitrogen content in biomass. DigitalGlobe’s WorldView-2 & WorldView-3 sensors (50cm resolution) currently offer the Red Edge band. 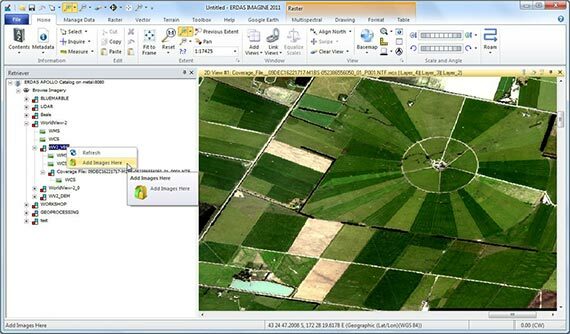 As a premier provider of very high resolution satellite imagery from DigitalGlobe, best-of-breed GIS, Geospatial and Server software from Hexagon Geospatial, we can supply you with the best tools available in the industry. Plant growth, moisture, minerals in the soil, NDVI and TNVDI are all tools derived from satellite imagery helping farmers making more informed decisions.